Let’s face it–parenting is hard at times. Parenthood is the only “job” which involves no formal training, very little background knowledge (for most of us) and the “outcome” involves the people we value most (our kids). All this is to say that to thrive in parenthood you need a tribe–fellow parents who have gone down the road you are traveling and can point out the bumps in the road or at least sit by you and help you buckle your seat belt. 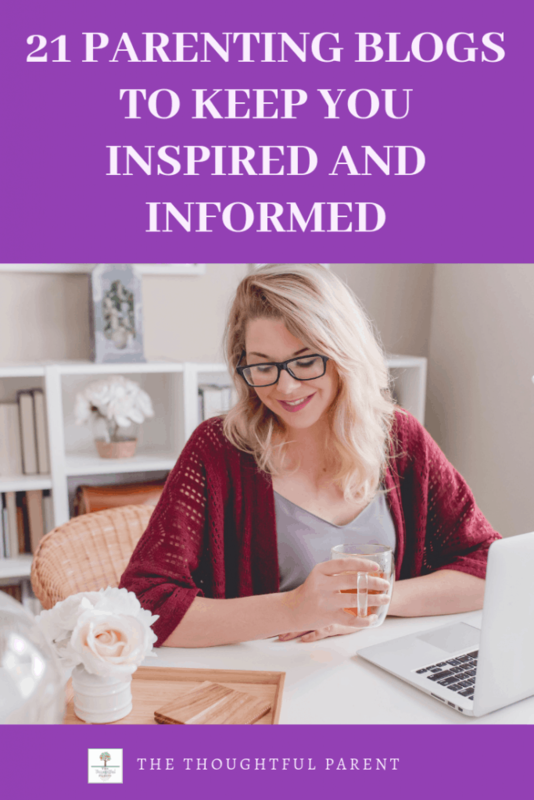 Since I am a blogger, I have found support and encouragement from other parenting bloggers along this journey. Today I’m sharing some of my favorite parenting blogs that offer real, concrete, parenthood-is-messy-but-worth-it articles and advice. **This post contain affiliate links. Purchasing through these links helps support this blog at no cost to you. These parenting blogs offer thought-provoking articles and useful hands-on tips. As a bonus, many are also based on research, which I always appreciate. – Nuture and Thrive: research-based positive parenting ideas from a developmental psychologist. You can’t beat that. Great, thoughtful articles. – Not Just Cute: Amanda is a scholar after my own heart–trying to bring research into the lives of the people who really need it. I even love the name of her blog. She says childhood is not just cute, it is powerful and priceless. I couldn’t agree more. – Janet Lansbury: if you are not familiar with RIE (Resources for Infant Educarers) then check out Janet’s site. It focuses on a thoughtful, insightful parenting approach that focuses on seeing the infant as a whole person from the start. – Regarding Baby: another wonderful RIE site hosted by Lisa Sunbury, an early childhood educator. Her writings will give you insight into focusing on your parenting relationship and slowing down to understand your child. – Happy You, Happy Family: Kelly describes herself as a reformed perfectionist and everything here is real life and real solutions. If you are ready to ditch the idealized notion of parenthood and be real, this is a good place to start. Kelly offers great ways to reconnect with your kids. – Science of Mom: if you ever wonder if some article or post you read about a parenting hot topic is based on any science at all, you should check this site first. Alice is the best at searching out the real science behind common parenting issues. – Gooey Brains: it sounds funny but it’s true–kids brains are gooey. This site offers wonderful resources for helping us understand how we can shape those gooey brains in the right direction. – Military Wife and Mom: although we are not a military family, I keep seeing Lauren’s posts in my social media feed and I love all that I’ve read. Practical insight into positive parenting ideas that help us get through dinner time, chores, and homework with our sanity intact. Want to learn more about research-based parenting? Click here to get this free cheat sheet: 5 Common Child Development Myths…Debunked. Look beyond the myths about spanking, spoiling, attachment and more. – Hey Sigmund: if you need help understanding your child’s emotional needs, this is where to start. This site discusses a lot about children’s emotional life including anxiety and stress. It’s a wonderful resource for understanding our own mental health too. – Mama OT: another great site whose goal is to share knowledge of occupational therapy with the rest of us. 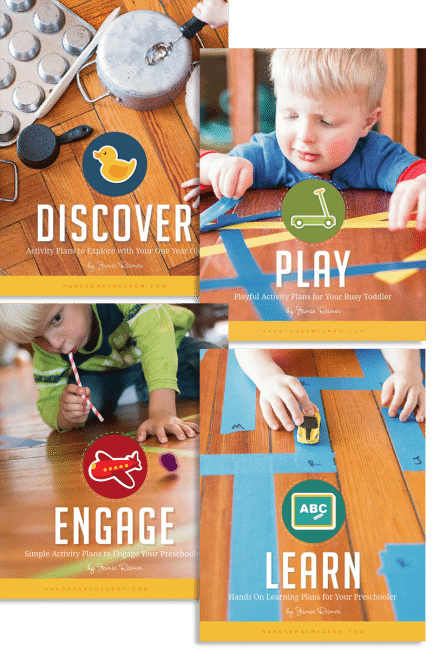 Great information for understanding all children’s development, including playful learning activities, fine and gross motor skill development. Lemon-Lime Adventures: I’ve been following Dayna’s work for several years and I find myself recommending her parenting blog to anyone who finds their kid’s behavior challenging. Her blog is especially helpful for parents of kids with sensory processing issues. She is a pro at helping parents see their kids’ unique superpowers and hidden strengths beneath the surface. Great, inspiring work! Even if you are not a homeschooling family, these blogs offer learning ideas to enrich your child’s education. As parents, we are still the first and best teachers of our kids. – Brain Power Boy: I am a mom to boys so I am biased to sites like this. This is great if you have boys (like mine) who don’t usually go for the typical crafts and activities offered on other sites. Sheila has some great insight into the mind of young boys. – What We Do All Day: if you are a stay-at-home parent, you have probably gotten this question, “what do you do all day?” Well, this is the site for you. Wonderful book recommendations, real hands-on activities that are meaningful and not just fluff. – Imagination Soup: if I’m looking for any resources related to kids’ literacy, book recommendations, or gift ideas, this is my go-to site. – Totschooling: if you are like me and spend most of your days with a toddler or preschooler, you know that you often need some activities to keep their little hands busy. This site has loads of cool printables (mostly free!) that you can easily prepare for the kids to do. – No Time for Flashcards: we all know that play is the best learning activity for little ones. This site is awesome at giving us ideas for crafts and learning activities. Hands On as We Grow: Jamie’s activity ideas and plans have been a lifesaver to me. If you have an active toddler or preschooler at home and need more ideas for keeping them learning and having fun, this site is the jackpot. – Seeme and Liz: do you see the theme of play being big on this list? This site continues that theme. Great playful learning ideas and resources, especially for the young crowd. Getting kids to eat something besides chicken nuggets and mac and cheese is often a struggle. These sites offer hope to us that there are healthy options that kids will actually eat. – Super Healthy Kids: I have found tons of good recipes on this site. They also have meal plans and cool healthy eating plates to help kids learn what they should eat to keep their bodies healthy. – 100 Days of Real Food: another go-to site for me. If you need to expand your child’s lunchbox menu, there are a lot of great ideas here. Plus, Lisa just came out with a cookbook so you can have all your favorites in one spot. – Weelicious: this site hardly needs an introduction since it’s been featured in magazines and television. Wonderful kid-friendly food ideas, even for the babies and toddlers. What are your favorite parenting blogs? (besides this one of course 🙂 Let me know in the comments! thanks for including Imagination Soup, Amy! And for introducing me to some blogs I didn't know!! Thank you so much for including Brain Power Boy in your list. You certainly made my day. Thank you for the list! 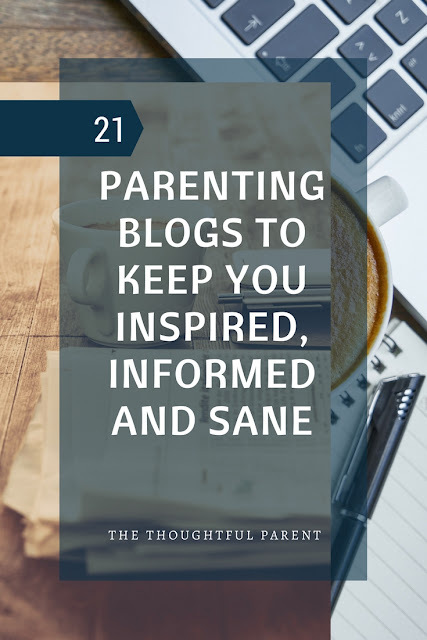 You saved me a great deal of time on looking for really good blogs on parenting. Cheers!